Education policy at the state level, which is the "No. 2 issue in campaign ads for governors." There are 36 gubernatorial races taking place this midterm election, seventeen of which will see a new governor in office. Twelve states will elect governors who appoint the state school chief (commonly known as a superintendent). Early childhood, K-12 and higher education funding measures for select states, including Georgia, Hawaii, Maine, Maryland, Montana, New Jersey, New Mexico, Oklahoma, Rhode Island, Colorado, Missouri and Utah. Implementing "non-traditional", new funding sources for education, such as the legalization of recreational marijuana and looking at casino revenue to support education, career and technical education, dual enrollment programs, and more. Legislation that could entitle teachers to a 20 percent raise in Arizona, as well as expanding the state's voucher programs from special-needs students to all students in the state. Low youth turnout in U.S. elections "is commonly attributed to lack of interest, lack of civic responsibility, and lack of knowledge or attention," but there are other obstacles that prevent college students from voting, such as poor access to polls - especially for students who frequently move. Some universities and colleges have gone as far as integrating voter registration into orientation, so that all new students are given the "opportunity and information to register to vote when they start college." 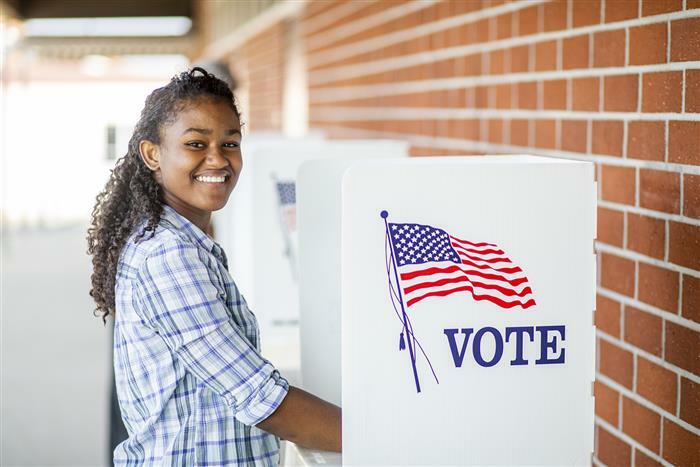 Colleges have the opportunity to "increase student voter participation by teaching them that they can influence the issues they care about by voting."